You may be anywhere in the world, but the one place that is absolutely personal to you, and that you want to be in absolutely your style is your bedroom. Bedrooms can be of a variety of styles, and the style also depends on the climatic conditions of the place which determine how you would design your bedroom. 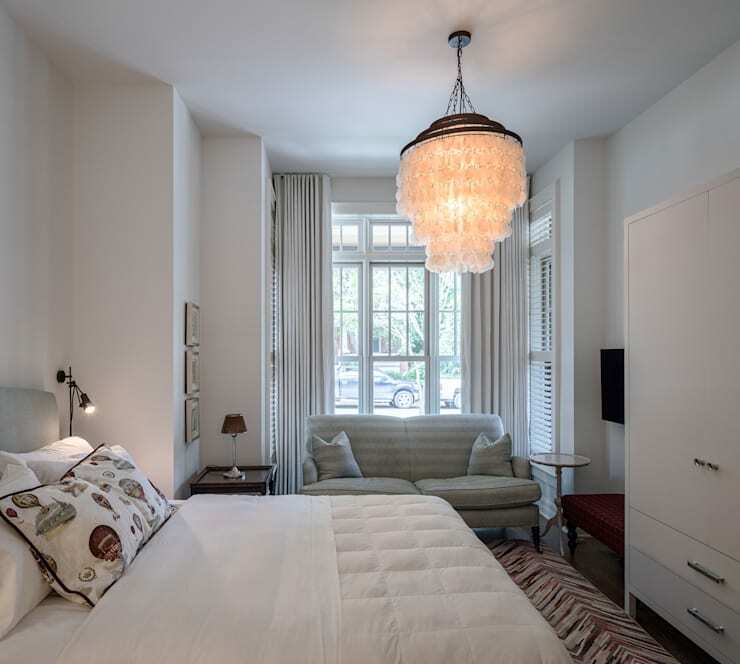 In this ideabook we compare the styles of Canada bedrooms and USA bedrooms. See for yourself and decide which side are you on. 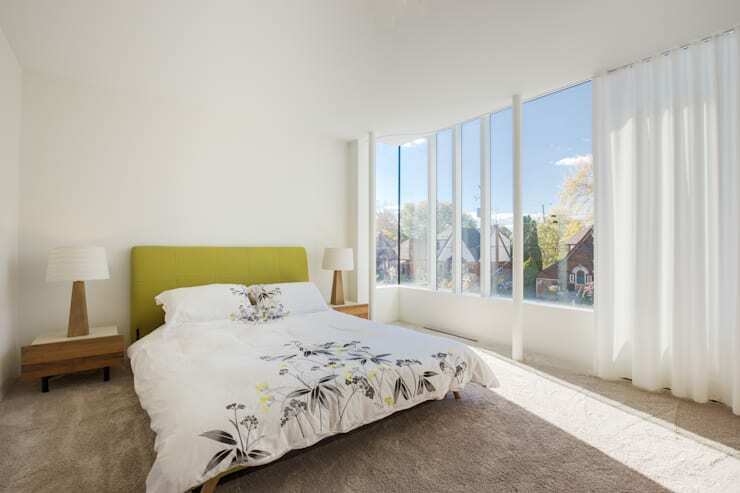 A bedroom on the upper floor that has a trendy and uncommon roof, a low seating by the window and a framed bed. The low seating by the window makes this USA bedroom more usable and cozy. 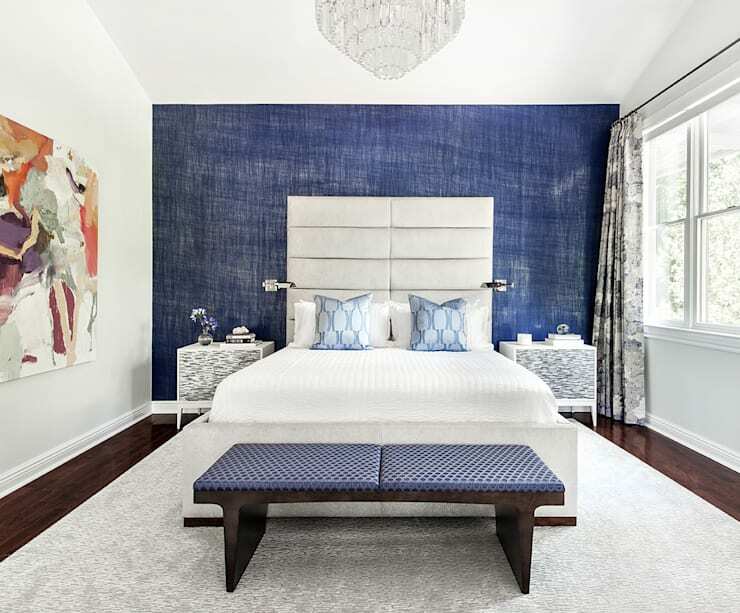 Texture is the protagonist in this modern USA bedroom. The color blue on the wall is a great choice to create something unique and is beautifully complimented by white and lighter tones of blues in the upholstery. Here are some common decor blunders that you might want to avoid in your bedroom. 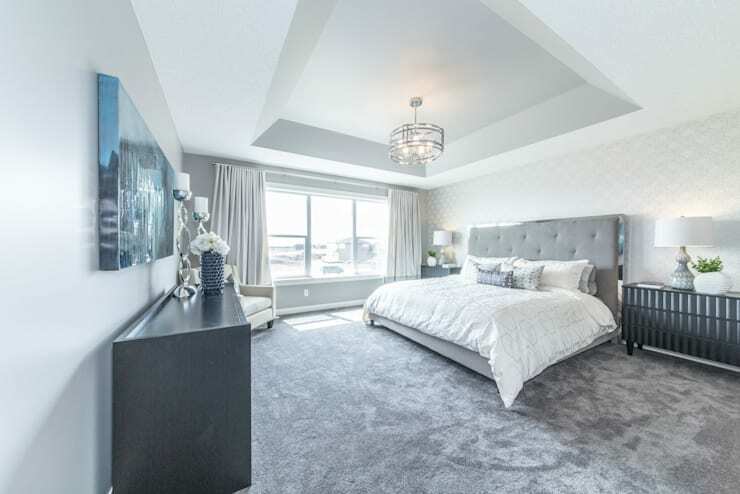 This bedroom in Canada is draped in tones of gray, and looks tranquil and elegant to the core. A warm and cozy bed, large windows and a chair by the side for the quiet Canadian evenings. 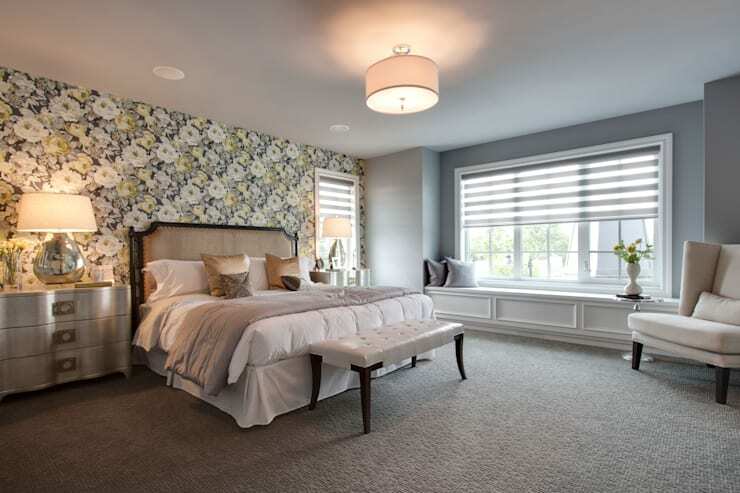 Light walls, light fabrics, full carpeting and all the subtleties make this USA bedroom a classic. The wine color adds a bright contrast to the otherwise simple room and retains every drop of elegance that the bedroom exudes. Luxury is the word that comes to mind when you come across such an elegant room. The room has lot of open space and less pieces of furniture keeping the look open and spacious. 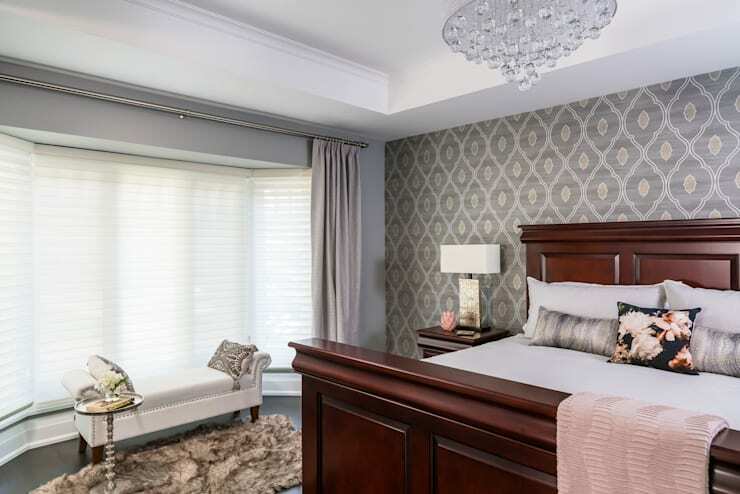 The use of gold color in the bedroom is an add on to the elegance and makes this Canadian bedroom look even more luxurious. A simple bedroom with white walls, wooden furniture, a fireplace is the perfect recipe for a rustic bedroom and that is what this USA bedroom boasts of. Wood is one of the most popular material for any construction and furniture in Canada, and this shiny wooden bed is an example of just that. The colors in the bedroom too reflect the tones of wood, a typical of the Canadian style. Living in a busy city, makes you utilize the smallest of spaces in the most effective way. This modern bedroom in a USA apartment is a great example of that. There is everything that you would need, but in a compact space to make the most of the limited space. Not always, there is big space in your home, but Canadians know how to use the available to perfection without compromising on the style a bit. 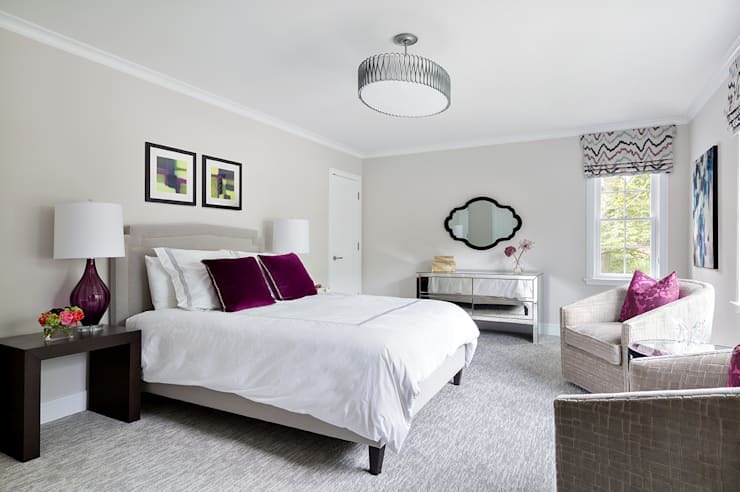 A minimalist bedroom is something that will be trending for a long period of time, with less spaces in houses and busy schedules of people that hardly leave any time to organizing and maintaining. You might want to see the comparison of modern bedroom vs minimalist bedroom here. Hope you appreciate the differences between the two styles of bedrooms, and have decided what style suits you better. Which bedrooms are more your type, USA bedrooms or Canada bedrooms?